Friday, November 2, 2012 . I had the honor of helping out this year with Room Service Atlanta, brainchild of Erika Ward and Dayka Robinson. This organization is in its infancy and from what I witnessed well on its way to super stardom. I was asked to design a room for a young man in transition at The Untied Methodist Children’s Home in Decatur, Georgia. Along with 16 local designer’s we made these very institutional dormitories into a well designed and lovely living space for each and every young man to enjoy. I reached out some of the great folks in my circle for some donations. Much to my surprise no one said no. Hayneedle a company I have worked for in the past, was so giving, they donated without question. This super cool sofa and super plush rugs and kitchenette arrived and fit so perfectly. Posh Tots was the next on board, giving us a much needed dresser for the bedroom. My last call was to my friends at IKEA, Atlanta. They went above and beyond. Deidra was a lifesaver. 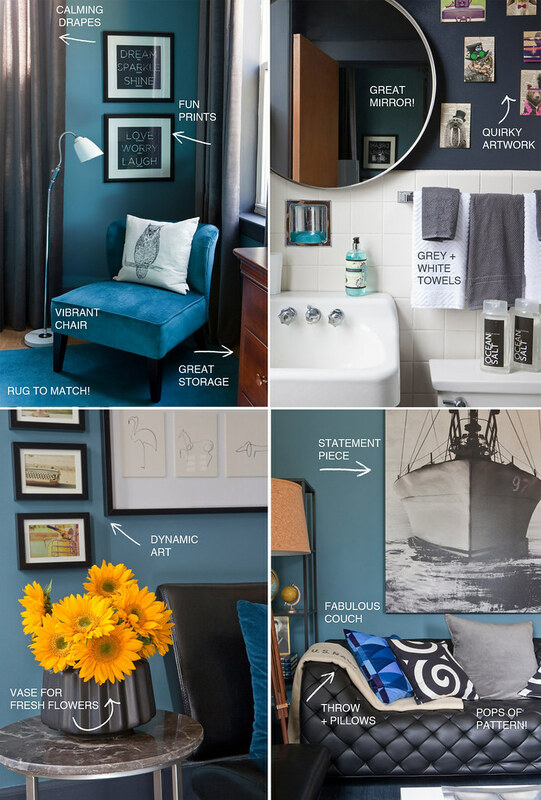 IKEA filled in the blanks and finished off the room perfectly with a bed, mattress, bedding, lighting, shelving, bathroom accessories, and incredible artwork and textiles! Not to mention tricking out the kitchenette area with dishes and flatware and containers. What a gorgeous room and kudos for doing this for such a great cause. That sofa is so insanely good. I remember when Erika and Dayka had the seed of the idea for Room Service ATL. It is amazing how far it’s come in such a short period of time. It’s a great room, and I know the lucky young man must be thrilled with this amazing transformation. 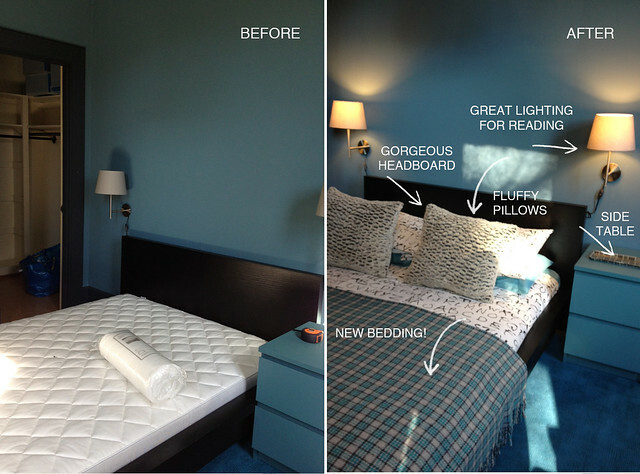 Kudos to IKEA and Hayneedle (the sofa is fab). Sometimes, companies are waiting for the ask. They want to help, but they just aren’t sure where to start. You and your partners are proof of that! So much fun to work with you Annette!! 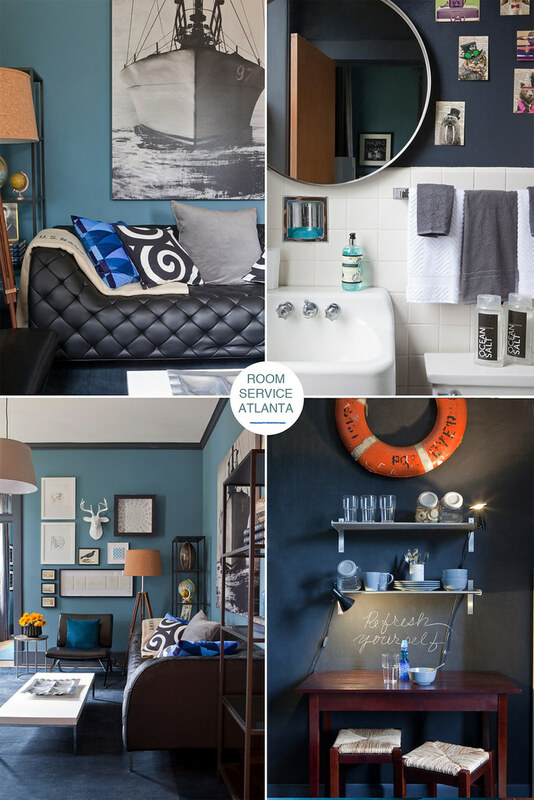 Of course…..I love your room….these are great shots! Thank you Annette for capturing our vision and running the race with us. The fulfillment associated with serving those less fortunate never gets old. So glad your sponsors could also get in on our community efforts and shine so radiantly in your work! One lucky lad will get to call this home. 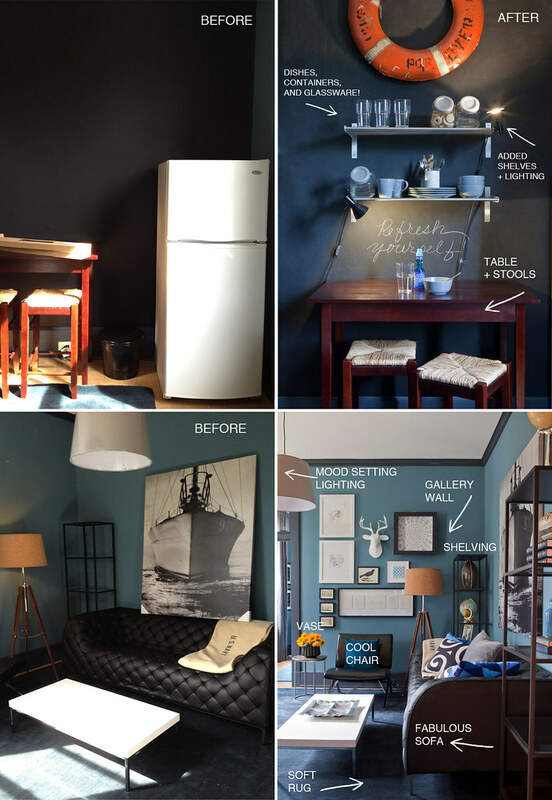 It was fun to meet you and see your space take shape over the week–so chic!